Ok – so the truth is, I just cannot narrow it down. I have spent days and days looking at websites of different nurseries and purveyors of exotic seeds – and I have spent months and months reading about plants and planning different guild arrangements and compiling “wish lists” that rivaled the loving letters I used to send to Santa Claus – and I, much like our dear friends (ahm) in Congress, cannot seem to reconcile the expenses with the budget. And, like them, the debate goes on and on – because my vision does not coincide with reality, which I am still trying to define, in terms of the vision, of course. It’s a loop-thing. As is life. I have a few seed companies/nurseries that I repeatedly go back to – those companies that over the years, have served me well – and some of these are not actual nurseries, but local stores that allow me to see a plant and hear it speak to me before adopting. To McComb Gardens, Red Rooster Grocery, Nash’s, Sequim Open Aire Market / Port Angeles Farmer’s Market / Port Townsend Farmer’s Market, and Sunny Farms – thank you from the bottom of my heart for supporting my habit. To be truthful, I don’t know why I am even trying to buy more plants. I mean – get real – I DO have enough! I HAVE SEEDS TO SHARE. And we could get into a discussion here about what is enough and why it is important to recognize that whatever we have is, in reality, e n o u g h.
That, in itself, is good reason to grow something different. On My Wishlist: an assortment of perennial vegetables, including water plants, some more good beeplants, maybe some grains? and I’m always a sucker for herbs… I don’t have a lot of room for very large trees, so I may never get a chestnut or a walnut, but perhaps those that can be coppiced, like a linden? Or maybe a dwarf variety of a mulberry? And now that I have planted much of the overstory in my permaculture vision, it is time to start filling in the spaces below. I really do need more groundcovers. How I Narrow it Down: I look for the unusual – the things I can’t get through our local markets & CSAs – and I look for the functional, preferably multi-functional… I look for “holes” in the landscape – places where a certain something might fit in and fill a particular niche, whether it be as an insect attractant or possible repellant, provide mulch material, add nitrogen, a medicinal benefit, serve as a windbreak, bird habitat, provide basketry materials? … any number of things depending on location and conditions. I like perennials. Plants for a Future database. Hands down, a great (and growing!) resource. Permaculture Activist lists seed companies by state (and Canadian Province). King County Northwest Yard and Garden: Seattle oriented, but a ton of information, and after all, they are just across the water. Hansen’s Northwest Native Plant Database (“The Wild Garden”): Ok. I am truly blown away by this website. Their mission is “To generate interest, even passion, in the magnificent native plants of the Pacific Northwest through information and illustration,” and to that they definitely do succeed. You can spend a lot of time here. I particularly like the list of chores for each month. I think I have my marching orders! Lots of pictures. The Desert Northwest is another local nursery I’m excited about. Ian writes an informative blog and is extremely knowledgeable about xeric plants and those that do well in our dry climate. Believe it or not, we in Sequim are classified as “semi-desert,” averaging only 17” of rain per year due to our location in the rainshadow of the Olympic Mountains. Water availability is already becoming a problem, and water conservation ever-more important! The time for dryland native plants is here! Uprising Seeds out of Bellingham has really expanded their product line! Find grains as well as veggies, herbs, flowers, all adapted to our climate. A good source for hulless oats and quinoa at $3.25/pack and bulk seed options. Burnt Ridge Nursery: This is a small family-owned company (mostly a nursery – not so many seeds) in Onalaska, WA – I have ordered from them several years in a row now, and I am always happy with their plants and reasonable prices. I have ordered currants, gooseberries, lingonberries, cranberries, honeyberries, bamboo, hazelnuts, aronia berries, serviceberries, seaberries, Siberian pea shrubs, a medlar tree, goumi berries, and this year, I confess, I broke down and bought a weeping mulberry. What can I say? I like these folks. Everything arrives well-packaged and in good health. Restoration Seeds: I am excited about this seed company out of Ashland, OR that provides hard-to-find seeds of perennial vegetables, grains, and also many herbs. Horizon Herbs: Another beautiful site with an emphasis on medicinal herbs and lots of vegetables you don’t find in “standard” catalogs. It’s not just about seeds for these folks – it’s an attitude toward life and humanity: “Live fully this precious life! Empower yourself! Grow your own food and medicine! Plant seeds with love, in the spirit of sustaining and healing yourself, all beings and the Earth. Use what you grow. Enjoy every moment of it. Heal yourself, body and soul, your family, your community, make it whole. Feel the pulsing of the moon, the nourishing heat of the sun, the cooling rain on your uplifted face. Grow your love by sharing the bounty. Give that ye may receive.” Strong words to live by. Seeds are indeed, powerful medicine. Wild Garden Seed is also in Oregon – they sell the “French Vanilla” quinoa (2013 has been declared Year of the Quinoa by the United Nations, noting its untapped crop potential”). They grow quite a few unusual types, e.g., Alexanders, a biennial relative of Celery and Angelica that is very attractive to beneficial insects, as well as good to eat. They also sell chickweed, and I, too, thought, “Who buys chickweed seed?” – but they make a strong case for growing it where you want it so you have it when you want it. They also supply “critter mixes” for chickens, rabbits, and friends. Where else can you find Huauzontle, Old Growth Palm Kale, Giant Goosefoot, and Wild Garden Perennial Insectary Mix. I rest my case. Renee’s Garden continues to be one of my favorite small seed companies; not only do they sell high-quality seed, but they donate seeds all over the world. Their website is a great source of info from everything on how and what to plant to recipe ideas at harvest time. They specialize in heirloom & gourmet vegetables, herbs, and old-time, cottage-garden flowers. Seed Saver’s Exchange: This 890-acre heritage farm near Decorah, Iowa, sounds like an absolutely amazing place. It’s mission is “to conserve and promote America’s culturally diverse but endangered food crop heritage for future generations by collecting, growing, and sharing heirloom seeds and plants.” We’re not talking about any ordinary seed company here – this is a non-profit organization (great benefits for members!) that is one of the largest seed banks in North America. Through SSE, you have access to over 12,000 open-pollinated and heritage varieties of seed! I find this simply mind-boggling. Siskiyou Seeds from Seven Seeds Farm attracted me from the get-go by their cover page photo of a little boy sitting in a tangled polyculture of colorful edibles and flowers – absolutely beautiful! If you’re looking for kamut, millet, sorghum (that grows in the PNW??? ), flax, or poppy seed – look no further. Kitazawa Seed Co. out of Oakland, CA: check out this company that specializes in Asian vegetables (including non-GMO open-pollinated soybeans/edamame) – for 8 kinds of bunching onions, 3 kinds of burdock root, an astonishing 44 varieties of radishes, “microgreens,” & a lot of things that are best in warmer climates. Just $3.50 for a packet of a bunch. Bountiful Gardens: This has got to be one of my new favorites. Heirloom, untreated, open-pollinated seeds, plus tools, such as a home oil press, flour mills, and hand tools you can’t find in other places. Specialties: Rare and unusual varieties. Medicinal herbs. Super-nutrition varieties. How about a broccoli that heads high above the ground where the slugs can’t get it? Now we’re talkin’! Tree Collards!!! Try to find tree collard cuttings! Not easy! 5 kinds of Amaranth, burdock root, cardoon, scozonera, sea kale, salsify, miner’s lettuce, which we find wild here – but interesting to see it offered as seed. Also find grains: amaranth, barley, quinoa, millet, oats, triticale, quinoa, & even sorghum, which I don’t think we can grow here. Located in Willits, CA. J.L. Hudson, Seedsman, La Honda, CA: If you can’t find it anywhere else, this site, dedicated to the preservation of biological diversity, just might have it. They distinguish themselves as a “seed bank” – not a seed company – and their format is somewhat different from other websites. 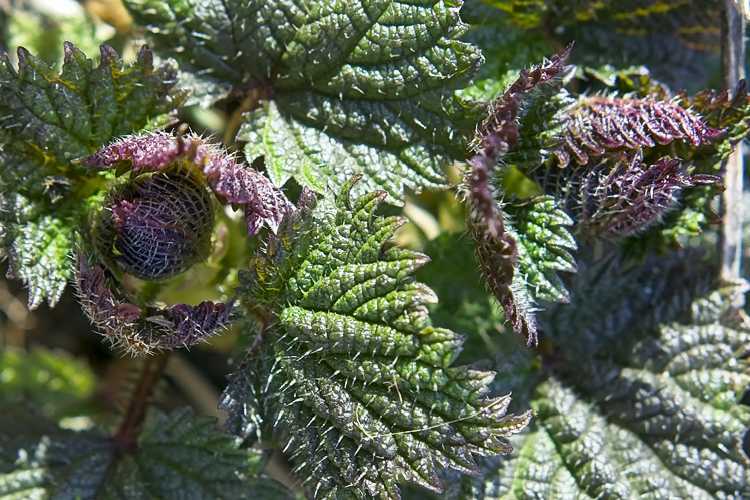 Not all plants are easy to start from seed, of course – but if you are looking for sea kale, astragalus, saltbush, or any number of different medicinal herbs or heirloom vegetables, you will pleasantly surprised. If you are looking for a way to distinguish what you grow from other farmer’s market vendors, they offer bulk seed and a whole lot of unusual varieties to choose from. Oikos Tree Crops: Another family-owned company, this one out of Kalamazoo, MI, that specializes in native plants, rare and unusual plants, a wide assortment of fruit and nut trees, and an ever-increasing assortment of perennial vegetables. Very reasonable prices, too. West Coast Seeds: Out of Vancouver, BC – these folks have a fantastic website chock-full of information of what to plant, when, and how, including lots of great articles, such as info on cover crops, companion planting, composting, seed saving, planting for bees, edible flowers, and a whole lot more. They specialize in heirloom, heritage, and organic varieties. Check them out. Richters Herb Specialists: These folks are up in Canada (Ontario), which means their seeds are acclimated to cooler conditions – but they also gather unusual seeds from all over the world. I have to list them here because they are so well known and have such a comprehensive selection of herbs. You have to admire a company that has done so much to protect diversity. And seriously, their selection of herbs is simply mind-boggling. Chilterns: Ok, yes, they are in the UK – BUT – the climate there is SO similar to ours – and Chilterns is a great resource – and Yes! They DO ship to the U.S. for just 4 British pounds (we are lumped in with “the rest of the world” – and they accept Pay Pal, so it’s not that difficult). “Good King Henry” DOES sound a bit more authentic, does it not? And they have a category called “Good for Bees,” which goes on for 20 pages of nearly 400 varieties – they definitely won me over right there. 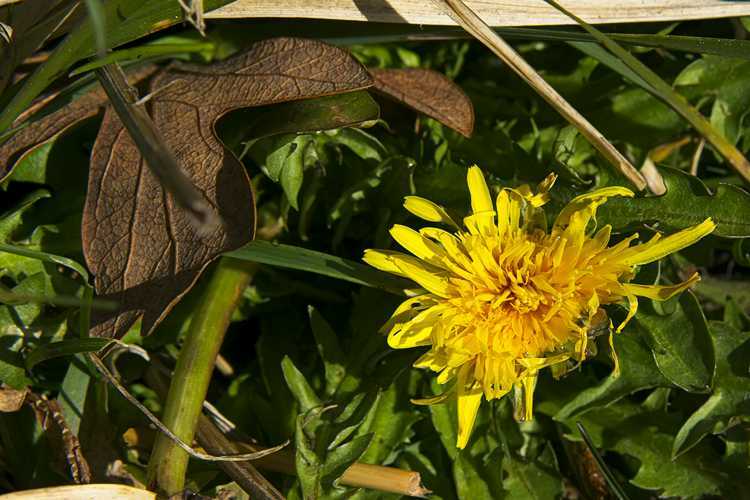 Over 100 varieties under “Dye Plants.” Plus they carry things like salsify, scozonera, sea kale, skirret, tree spinach, and strawberry guava…I’m only touching the tip of the iceberg lettuce here, obviously…Great to gain a different perspective, too. So many, many good sources of seeds and plants out there! By planting the seeds in this packet you have become a steward of our food heritage, a link in a chain that goes back thousands of years. Use this seed to grow food, but please save the seeds, share them with others, and replant them again in your garden to allow the seed to adapt to your local growing conditions. As if we needed a reason to buy more seeds and plants! I can’t possibly list all of the good sources of seeds here.